Afternoon tea at the Clybaun hotel wasn’t quite filling enough to last us for the remainder of the day so we ended up in Supermac’s. 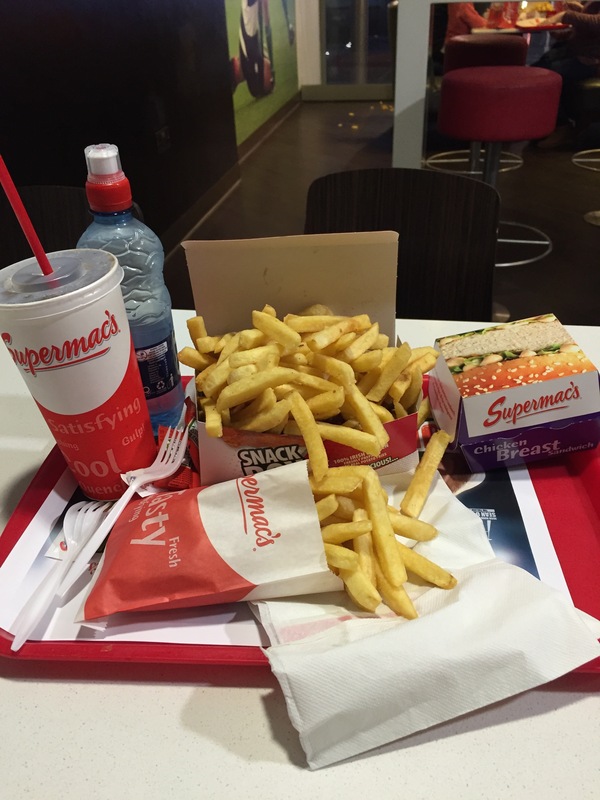 I was trying to show the OH that Supermac’s is actually quite nice since he has a bias against Supermac’s. We ordered a Snackbox with a chicken wing and a thigh. We also ordered a chicken fillet burger meal and shared both. Converted the OH over his bias against Supermac’s but we won’t be going for a while since we’re going to go back to being vegan plus all this fast food isn’t healthy!